Wouldn't it be great to swim even during the winter? At American Family Fitness, we provide indoor pools, including a kids' pool and splash pad, to enjoy no matter the season. Enjoy the water during all four seasons. At American Family Fitness in Virginia Center Commons, we offer indoor pools where you can maintain your aquatic fitness even when it's cold outside. With group exercise classes, swim lessons and swim clubs, you can stay in shape year round. And children can enjoy the kids pool and splash pad every month of the year too! For your relaxation, a hot tub is also located in the pool area, ready and waiting to help you wash away stress and relax tired muscles. Use your passion for the water to your benefit. 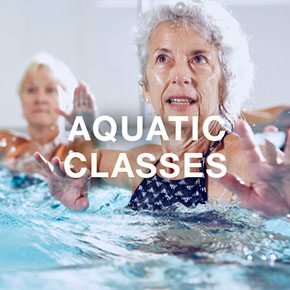 With aquatic group exercise at our gym in Glen Allen, you can lose weight, improve fitness, and protect your joints, all at the same time. 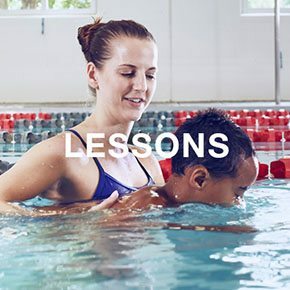 No matter if you are a brand new swimmer or you just need a refresher in the basics, our swim lessons are ideal. Learn the basic concepts of swimming and water safety and improve your fitness as well. Come see us at our Glen Allen health club and start seeing results. 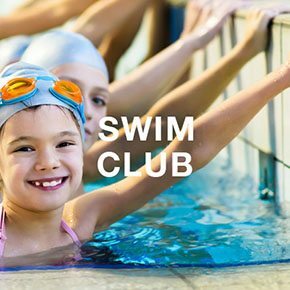 For members of our Glen Allen gym who are ages 5 up, and who have mastered the basics of swimming, we offer our Swim Club. Similar to swim team practice, you can increase speed, improve endurance, master your strokes, and learn new turns.